The April meeting was held at Western Sizzlin Steakhouse in Lima. There were eight members plus their guests in attendance. Dave Benny led the meeting. The 2002 Ohio Jamboree was discussed with special emphasis on the club's past experience with the Jamboree and some thoughts on what we could do differently in 2002. A 15 minute tape of the club's last Jamboree was shown with narrative given by those who participated that year. We should still be able to have a rough plan to announce to the participants of the 2001 Ohio Jamboree in September. Sharree Brenneman gave a presentation for the Lima/Allen County Convention & Visitors Bureau to show what is available in the line of attractions and accomodations in the Lima area. There was a discussion about hotel accessablitiy to countryside. We will use this touring season to scout out places of interest to go to in the area. It will give us a chance to enjoy the trips without the pressures of the big event. A couple of destinations have already been suggested. We also need to contact hotels about availability on Labor Day 2002. This will help determine some of the destinations. In addition to the obvious answers of price and reliability, there are several other reasons the T was so popular. At the time of the production of the T, America was still a rural economy, with major expansion taking place in the farming and ranching areas west of the Mississippi river, and many new towns being built along the expanding railroads to service the new populations coming in to settle those areas. At that time, there was no automobile manufacturing company who had a national distribution of automobiles and parts who had the capacity to service dealers in the smaller towns and provide parts and service for those autos. Ford built only ONE model of automobile-from the mechanical standpoint-and never changed it for 18 years. Within a very few years after the introduction of the Ford T, there were parts and service available at thousands of outlets nationwide. While a part for a Maxwell (or hundreds of other makes) might or might not be available, even from the factory, if it were still in business; virtually every part for a Ford was available at the smallest town's general store, hardware store or blacksmith shop. This was particularly true of the most common parts needed for Fords, ie: coils, timers, spark plugs, bands, fan belts, radiator hoses, etc. These parts fit virtually EVERY Ford made after the first 3 or 4 thousand, so every little store or blacksmith shop, every garage, no matter how small or remote, had the Ford parts needed to keep the car running. The same parts for another brand of automobile might not be available or if they were, required the dealer to stock parts for several different models, many of which changed year by year, and which parts might not be available after the model has been discontinued. One of the things that made the Model T so popular was the avialability of replacement parts. Also, the American public had great faith in Henry Ford to continue in business. If they purchased a Ford automobile, it was reasonably certain that the company was going to continue in business and that parts would continue to be available as well as newer models of the automobile, assuring that the older models would retain some value. Many automobile companies started up and as quickly faded away, leaving the buyers with an "orphan" which was worthless on the used market and for which parts might be totally impossible to obtain. Ford also priced his parts differently than most other manufacturers. The cost of the individual part was very little higher than the cost if it were part of the assembled auto. In other words, you could nearly put together a Ford car from parts as cheaply as you could buy the car. Most other manufacturers priced parts much higher. 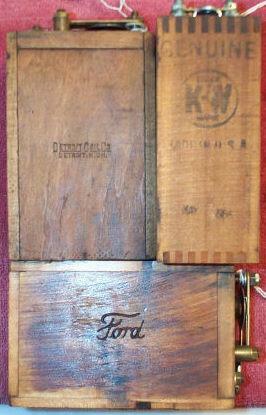 The Ford starting and electrical system was also a major reason for the popularity of the Ford. With a self contained electrical system, which virtually no other auto had at that time, a Ford would not quit on the road when the dry cell batteries which powered most ignition systems on other makes went dead. 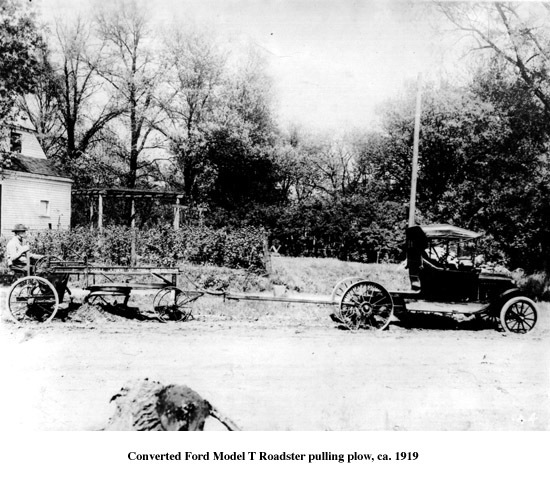 Once running, the Ford gerated its own electricity for ignition, and after 1914, for lighting. This was a simple system and was nearly foolproof, as the current producing system was enclosed inside the engine as opposed to the external systems used on the other autos. Another major reason for the Ford's success is related to that electrical system. A Ford would start when many of the other engines of the day would not. Due to the internal magneto, no dry cells or external batteries were needed to start the car. It is also obvious that the cost was reduced for driving because dry cells did not need to be replaced in the Ford system. While there are many other reasons the Ford became so popular, one of the other major reasons was that the Ford had a totally enclosed power and drive system at a time when most other cars had either open gears, open clutches, open brakes, etc. The Ford drive system was virtually unaffected by water, snow, mud, or dust while many other cars had exposed gears and bearings that were affected by the elements. The Ford had no place for any of those elements to get into the drive system, as the engine and transmission were one unit and the drive shaft and differential were one unit, each sealed from the other and from the outside. machinery for years or the doctor in town who had never done anything with mechanical devices? Obvious, isn't it?) the T was easier to operate than most other automobiles for the day. With the three pedals on the floor and only two hand levers, one for spark and one for speed plus the neutral/brake, the T really was easy for an inexperienced person to learn to drive. They did not sell just because they were cheap. That was only part of the equation.